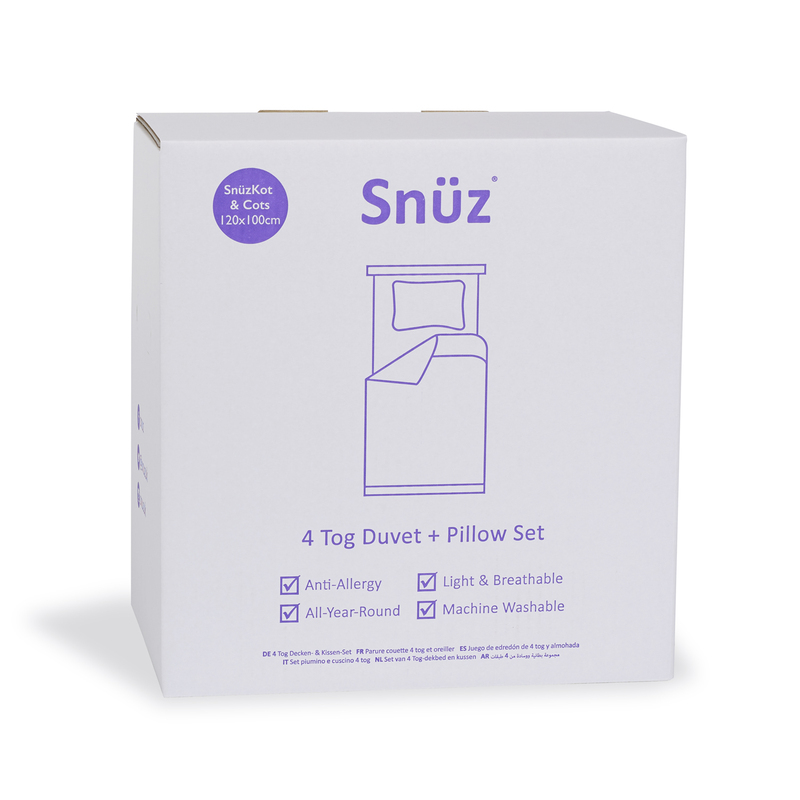 Containing both duvet and pillow, the 2 piece bedding set from Snuz is the perfect bundle for your little one’s first bed. 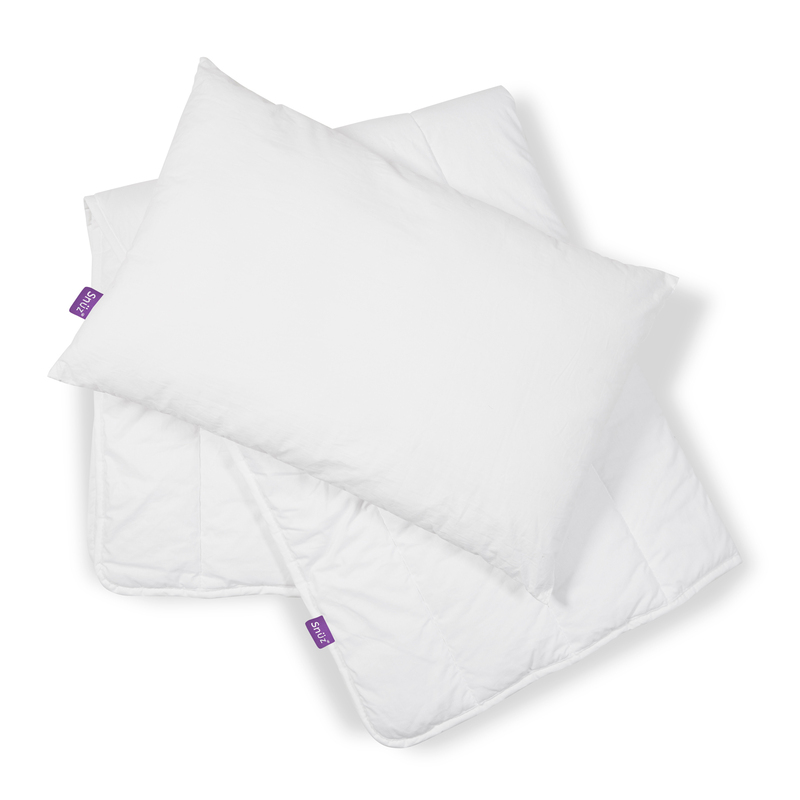 The 4 Tog duvet is suitable for year-round use and utilises breathable hollowfibre which benefits from anti-allergy properties. The set fits most cots and cot beds and is conveniently machine washable, helping to create a clean, fresh and comfortable environment.